The question of how the problems of slow readers can be caught early and remedied has been much in the news lately. 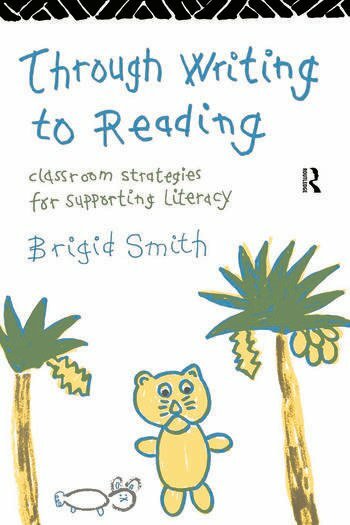 In this very practical book for teachers and support teachers, based on extensive work in the classroom, Brigid Smith shows how to exploit the links between writing and reading to give children the all-important experience of literacy. The children with whom she works are encouraged to dictate their own stories to a helper and then to read these back. From their success in this, they are gradually guided towards the skills needed to decode unfamiliar text. At the same time the stories increasingly acquire features characteristic of written rather than oral language and the children in editing them practice compositional skills which would otherwise be beyond their reach. Brigid Smith explains how teachers can use this approach in their own classrooms with different kinds of texts, with individuals and with groups and with children with all levels of reading difficulty. While her emphasis is on enhoument and independence for the reader, she also shows how the method she suggests can fulfil the requirements of the National Curriculum and how progress can be monitored for assessment purposes.